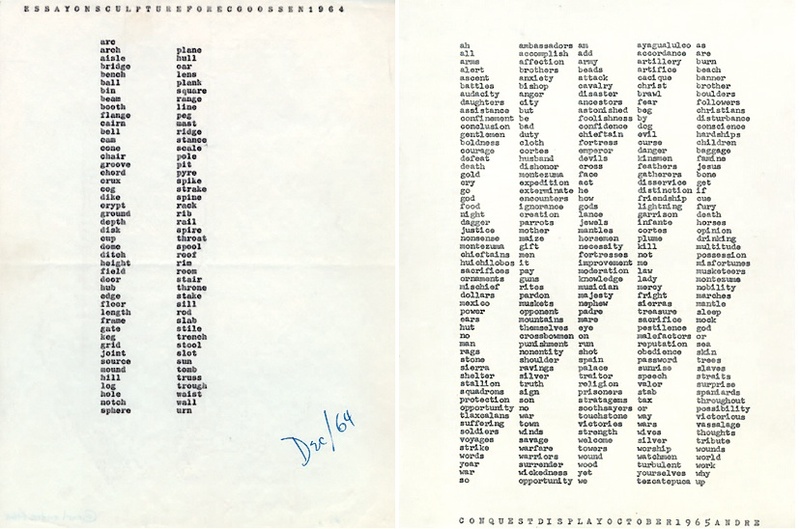 What is the most important thing to say about Carl Andre? Carl can’t remember. ‘What was it I once said?’ he responds when I ask him which, of all his contributions to the history of art, he is most proud of. ‘I didn’t make a great contribution but all I did was add the … It was something like …’ He tails off. ‘My mind is gone. I have no memory,’ he says simply and equitably. At 77, Andre is one of the most important living artists in America. Melissa Kretschmer, his wife, cuts in. She accompanies us throughout our conversation; nearly three decades Andre’s junior, she is better able to recall some of the details that evade her husband. 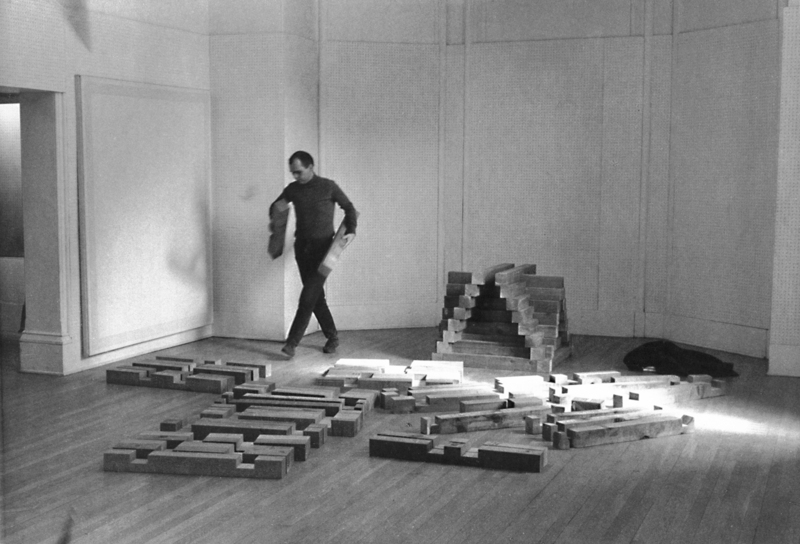 To many in Britain, Andre is foremost the creator of what has become known as ‘the pile of bricks’: the sculpture titled Equivalent VIII (1966) that the Tate purchased in 1972 and which earned the Daily Mirror headline ‘What a Load of Rubbish’. Andre reminds me of the critical assessment gleefully. Public opinion seems to have mollified little over the years. To others, especially in New York where Andre has lived in the same modest Soho apartment since the late 1970s, he is the artist who was tried and acquitted of artist Ana Mendieta’s death. Mendieta, his third wife, fell from a window in the apartment in 1985. Although his recollections of the event have been inconsistent over the years, he maintains his innocence. I am visiting him, however, to talk about his art, and to see if it is possible to tell his story without recourse to lurid biography. In May 2014 he will be recognised by a large-scale retrospective at Dia:Beacon, in upstate New York, his first in an American museum since the early 1980s. In the meantime, Turner Contemporary, in Margate, is currently showing eight of Andre’s sculptures and a selection of his lesser known typewritten poems in an exhibition titled ‘Carl Andre: Mass & Matter’, and the Tate is working on a catalogue raisonné of his poetry. Nevertheless, his mother was socially ambitious, and his father passed on a love of poetry. ‘My father read Byron and Keats and Shelley at night. And I remember I was sitting in his lap, and he’d have a glass of sherry, and he’d read these poems to me, and every once in a while I’d say “What does that mean?” And he would say, “You’ll find out.” In other words, he didn’t shape me in that way.’ Instead, it was the sight of words lined up on the page that most deeply impressed the young Andre. Andre, in old age, is a gently sympathetic character. It is easy to imagine him as the stumpy brain-box, the bullied fat-kid, helpless in quarrels but probably not making things easy for himself. His voice rises to a high pitch when he’s pressing a point. In the blue dungarees that he’s worn since the 1960s and his white chin-strap beard, he seems gnomish, animated and quick to laugh, but retaining the puritan manners of his Massachusetts upbringing. There is a humility to his sculpture. ‘I’ve never made a gold piece or something like that,’ he says. ‘I’ve wanted to use the six common industrial metals. Aluminum, copper, iron, magnesium, lead and zinc. They are reasonably priced. 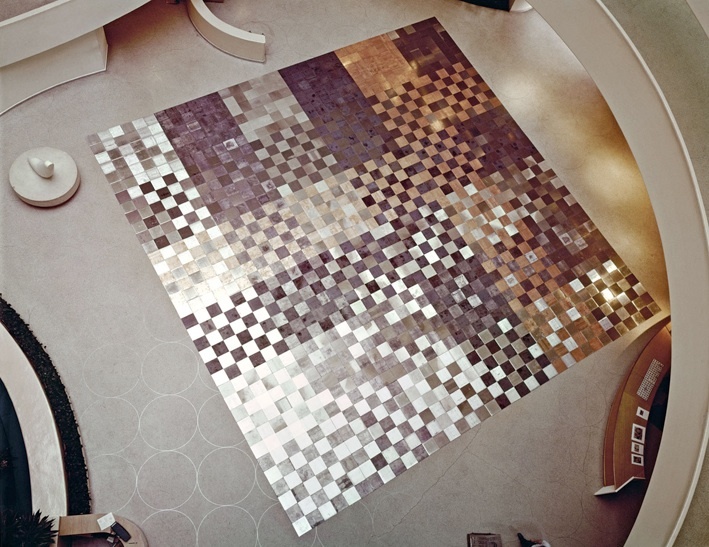 You could use something like titanium but titanium is spectacularly expensive.’ In addition to which, of course, Andre was one of the first artists to allow his art to be walked on, thus eliminating the objective distance between artwork and viewer and subverting sculpture’s longstanding association with monumentality. Despite these sculptural principles, which were informed by his leftist political convictions, Andre’s work has never been populist. ‘When I started doing my work, the question was “How can you call this art?” It wasn’t accepted and it wasn’t accepted for a long while. Probably the majority of Americans still think, “How can you call this art?”’ It is remarkable, I say, how difficult the work remains for so many people, half a century after much of it was made. ‘It’s because it’s so simple!’ he says. ‘With each generation the struggle is the same. There is no progress in art. It just keeps on going. I can’t say my work is better than Stonehenge – that’s impossible! The thing is people die and other people are born. Little kids have to learn the facts of life. Nobody’s born with knowledge. We’re born with original sin but not with original knowledge! ‘I never intended my work to be controversial,’ Andre says. But you didn’t modify it either, I say, even when some pieces, such as 37th Piece of Work (1969), made for the foyer of the Guggenheim Museum in New York, won the popular applause that others like Equivalent VIII have never known. Who do you make art for? I ask him, even though I already know the answer. ‘Me,’ he replies, instantly and simply. How then, I wonder, does he feel about the renewed attention he will receive when the Dia show opens next year? ‘I accepted it only under the condition that I make no contribution to it whatsoever. [I told the curators] I’m not going to tell you what to borrow, I’m not going to tell you how to arrange it, I said “Étonne-moi!” – astonish me.’ He trusts curators Philippe Vergne and Yasmil Raymond implicitly, and looks forward to seeing how they will situate his work in their space. This attitude of acceptance is typical of Andre, who views his life as a product of fate. Quincy, his parents, the New York art scene of the 1950s and ’60s, his turbulent love affairs – all these experiences have fed into his ‘simple’ art, though we don’t necessarily need to know about them in order to appreciate it. He recalls Ulysses’ statement in the poem by Tennyson, ‘I am a part of all that I have met,’ but then amends it to ‘All that I have met is a part of me.’ ‘I am a narcissist,’ he explains.